Marcel From Madrid is ready to launch a spring campaign aimed at the Caulfield Guineas. As an unbeaten half-brother to a Group One winner, Marcel From Madrid heads into the spring with credentials to be a player in some feature races for three-year-olds. Marcel From Madrid resumes in Saturday’s Listed McKenzie Stakes (1200m) at Moonee Valley and his performances in his first few starts will determine if he will be a serious Caulfield Guineas contender over 1600m. “Obviously the Guineas is the aim, but it’s whether he’s going to stay or get to the mile,” co-trainer Simon Zahra said. “If he doesn’t look like it we’re happy to freshen him up and maybe look at the Coolmore Stud Stakes (over 1200m). Marcel From Madrid is a younger half-brother to this year’s Group One ATC Australian Derby (2400m) winner Levendi. Zahra doubts Marcel From Madrid will stretch to that distance at this stage of his career. “He’s still quite strong on the bridle,” Zahra said. “So at this stage he’s still learning his craft. “I don’t think a mile is going to be an issue but he’s got to learn to drop his head and relax. 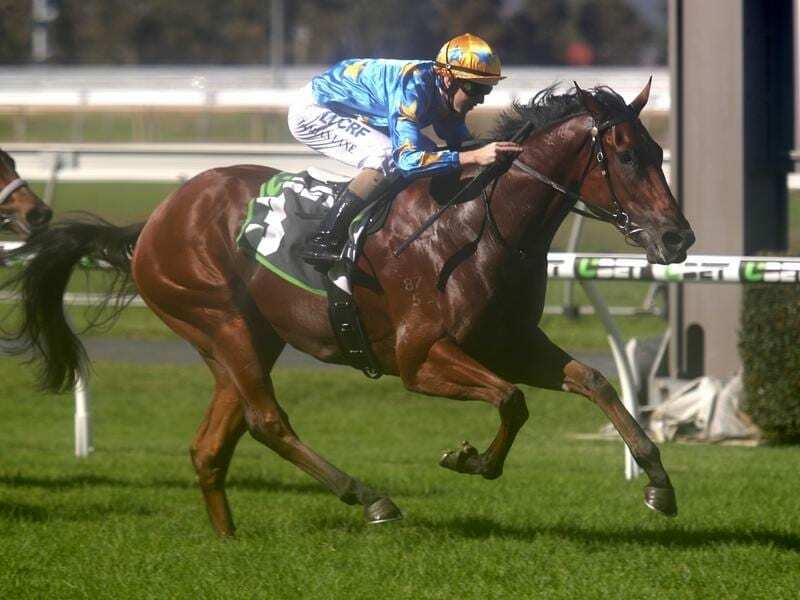 Marcel From Madrid won a Benalla maiden comfortably on debut in April before powering away with the Group Three National Stakes (1200m) at Morphettville in May by 1-3/4-lengths. He has had two Flemington jump-outs in the past fortnight, the second a more serious hit-out last Friday when winning his 800m heat. He was the $5 second favourite on Thursday behind impressive Caulfield debut winner Brutal ($1.90). “He’ll improve a fair bit off it and he’s just drawn a bit sticky so he’ll probably just need a little bit of luck, that’s all,” Zahra said.